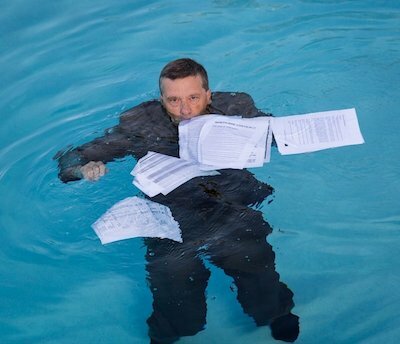 Coming to terms with your underwater mortgage is the first step in avoiding foreclosure. The next step? Finding a buyer for your house — that’s us…..
Aloha. If you’re reading this page, then you’re likely in a difficult situation or possibly getting stressed out about your underwater Hawaii mortgage. We get it. Perhaps you’ve tried a loan modification or hoped you’d come into enough cash to bailout your mortgage or at least get current, but it hasn’t happened yet and time is ticking away with your lender. Please know that you’re not alone. You have options. There’s help out there and it doesn’t have to cost you a thing. We’ve worked with many families in Hawaii to help them get out of an underwater mortgage and complete a successful short sale. How? By negotiating with your bank so that we can buy your house. Yes — we want to buy your house. Would that help? Do you want us to put our short sale team to work for you….. at no cost? Just fill in the form on this page or call us at 808-377-4379 and let us know. Important Note…. the sooner you take action, the better. Waiting only makes the matter worse. Despite what you may read out there, we don’t advise playing hardball with your bank. Be proactive and stay in charge. Make a decision TODAY to put your best foot forward with your Hawaii property and short sale. Talk to us today….avoiding foreclosure in Hawaii is within your power…. as long as you act quickly. To return to our main page instead, click here.